To observe stellar occultations by planetary bodies, we often use portable CCD camera systems. These systems can be taken all over the world and attached either to portable telescopes or to telescopes that are located in the predicted shadow path (the location of which varies from event to event). POETS, our Portable Occultation, Eclipse, and Transit system, was designed and constructed as a joint venture between the PAL and our collaborators J.M. 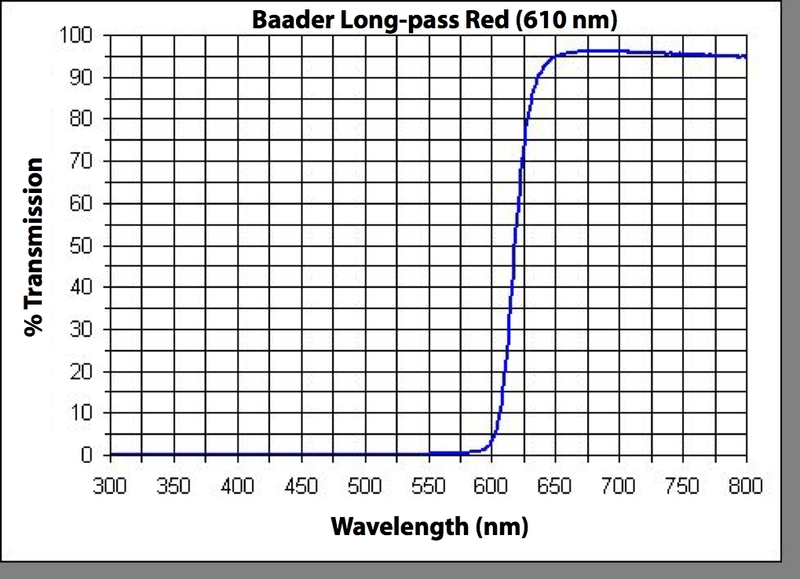 Pasachoff, B.A. Babcock, and S.P. Souza at Williams College. 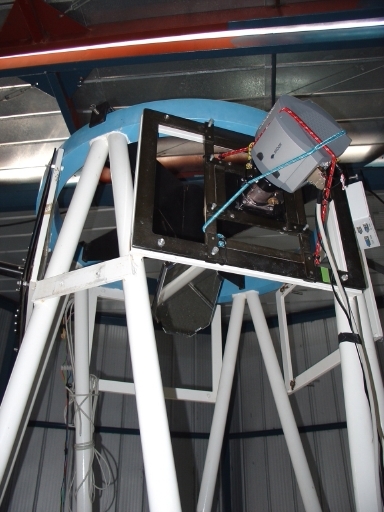 The first deployment was in 2005, when five POETS were mounted on telescopes in South America to observe a predicted stellar occultation by Pluto's moon Charon. (3) a high-speed, compact computer (Shuttle SB61V40). These parts, and all components required for their operation, fit into two, airline regulation carry-on bags. The PAL and Williams College each currently support and use three POETS. The systems are identified by color, which allows components from each system to be tagged with appropriately-colored labels for easy identification. The MIT systems are POETS-blue, -green, and -yellow. *Approximate* read noise, gain, and readout rates – each camera has measured values (see spec. sheets below). Camera Spec. Sheets: Here is Andor's general information sheet for the iXon camera, as well as information for its chip (the E2V CCD-97). Individual specification sheets for each MIT POETS camera are provided here: POETS-blue, POETS-green , and POETS-yellow. Operating Notes: We have a schematic showing how all of the parts of the system are connected and some notes for users. We also have a poster from the 2007 AAS DPS meeting that explores the SNRs in the conventional versus electron multiplying modes. 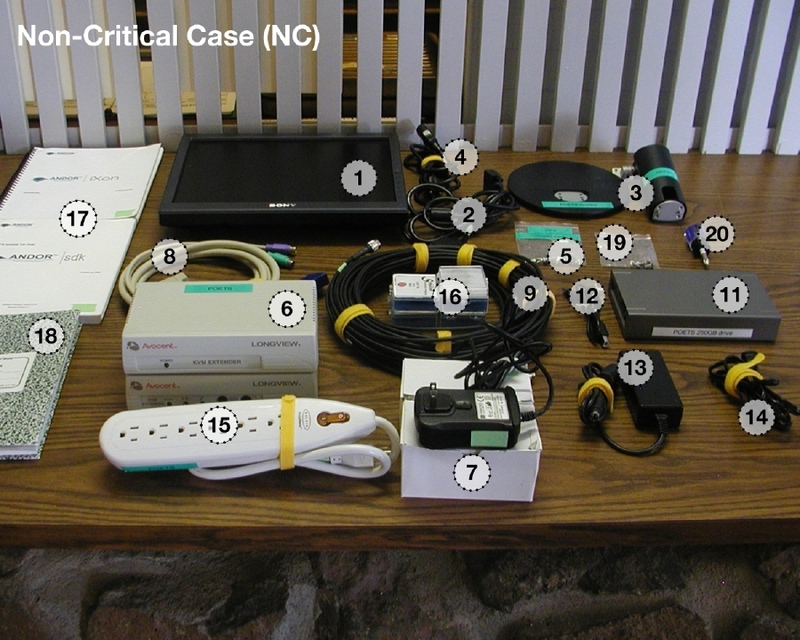 Packing Inventory (with images): There is an art to packing all of the components into two carry-on cases. 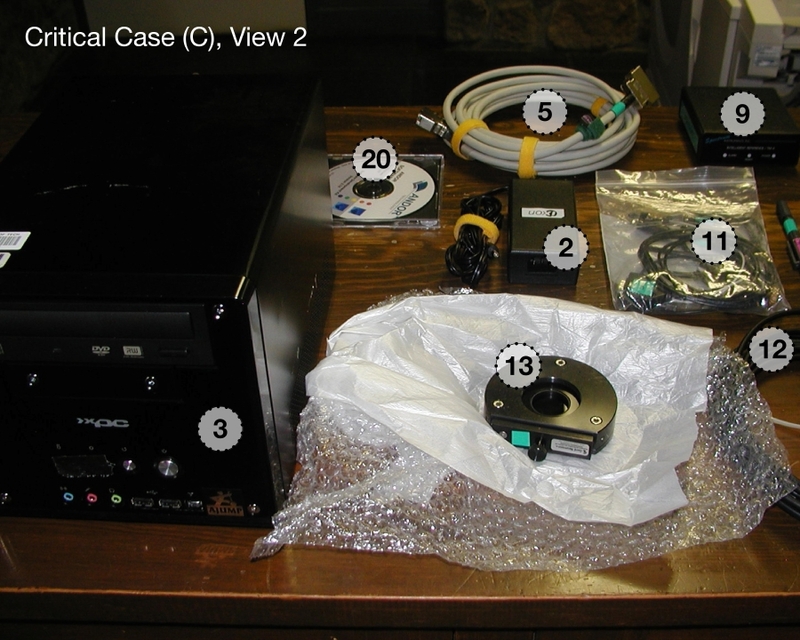 Typically, the three primary components are packed in one "critical" case. 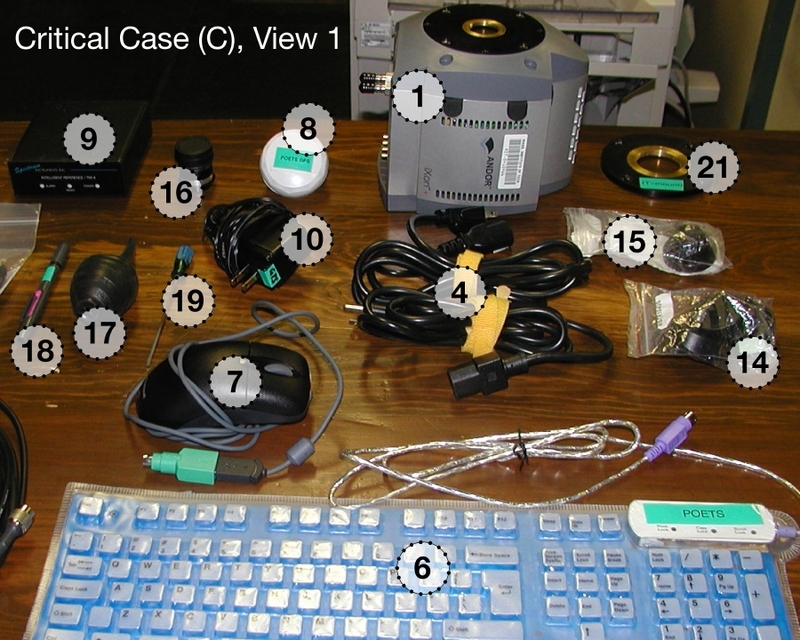 Here are example images of the components in the critical case (1 , 2) and the non-critical case, along with the corresponding numbered inventory . (courtesy of A.S. Bosh). Manuals: Need manuals? Find them here for the camera, GPS, and the computer. 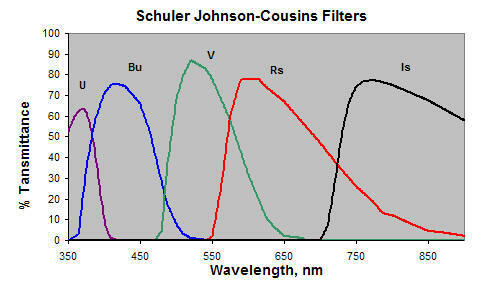 Filters: In addition to Johnson-Cousins U,B,V,R and I filters, we have luminance, "Fringe-Killer", and yellow, orange, and red long-pass filters for use with POETS. 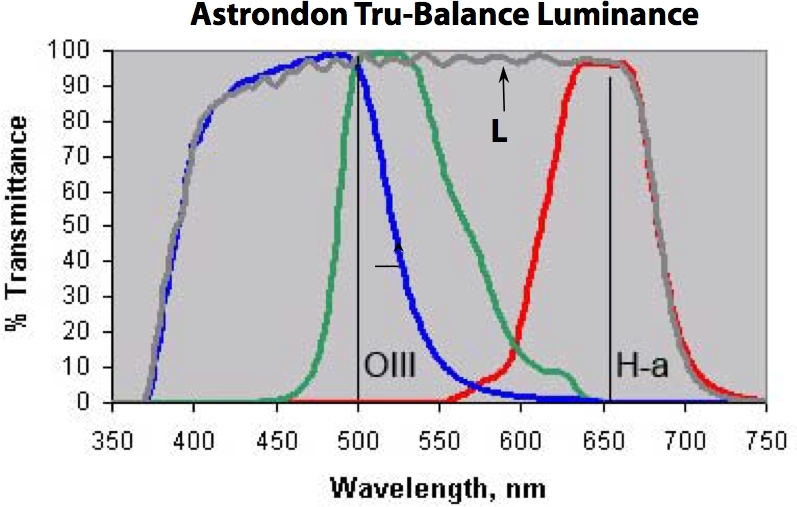 Transmittance curves are provided here (click on the image for larger version).